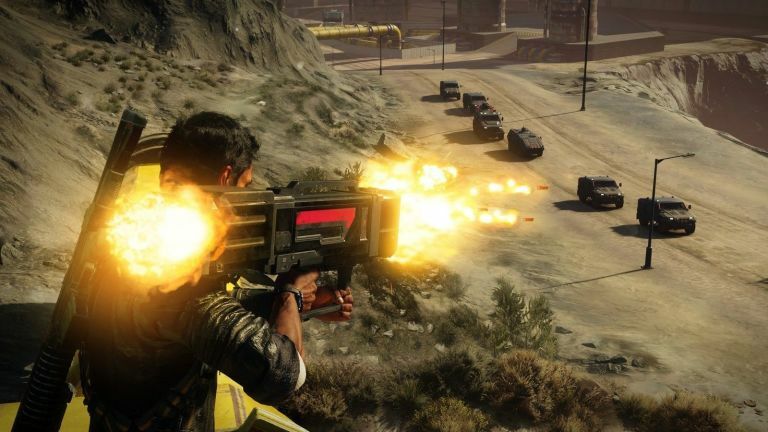 The fan-favorite action game series, Just Cause, released their new installment, Just Cause 4. Sadly, this game did not live up to the hype put around it, even though the game was fun. Blowing things up is a lot of fun, but the technical and control issues that plague this game make is more frustrating than enjoyable. The graphics in this game are very lackluster, and for what you get, the game runs terribly. Even on ultra settings, the game looks very two dimensional and pixelated, and not up to current standards in the industry. There were obvious downgrades since even the launch trailer a few days ago. Sometimes lighting clips through characters, creating for odd looking scenes. The hyped up tornado and weather effects were nothing but plastered on afterthoughts to try and get game lovers to buy the game for a false sense of innovation. The game runs at a terrible framerate for the quality of the graphics, averaging about 45 FPS on a 1060 6GB and a i5-5500K on high settings. There are frequent crashes, and the game force closes on you at random times. When I was finishing the 30 minute tutorial mission for the game, it had a random crash for me, and I had to go back and do the same tedious mission again. I am not the only one experiencing this issue though, as lots of the reviews are having the same issues. The new Apex engine that was so hyped to fix the physics issues with the last game, were no more than a lie to make the game look more sellable to the audience. There is a new set of problems, with objects you grapple randomly going flying, and some objects not grappling at all. The dynamic weather is obviously set on a timer, and the gunplay feels janky and weird. The UI is really clunky, and a bigger mess than any other Just Cause game. The PC controls are really strange, with holding down shift being ADS, and pressing the number 1 on the keyboard opens up the menu and UI. When gameplay in itself works, Just Cause 4 is one of the most fun games of all time, even if it is not a technical masterpiece. 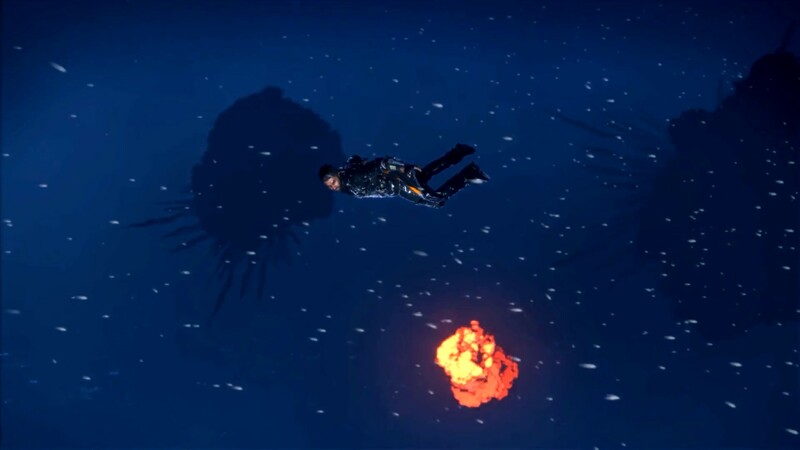 Grappling up mountains, throwing crates at bad guys, and wingsuiting around the map were an absolute blast. Guns are diverse and unique, with a primary fire, and special secondary abilities, such as an assault rifle which is mixed together with a grenade launcher. Enemy AI is somewhat reliable, with them being able to follow you after they see you, but if you are hiding, they will never see you. Mods for your grappling hook allow you to do cool abilities with itm such as float items away in a balloon. Even when other areas of the game are not as good as expected, the gameplay in Just Cause 4 makes up for all of the losses technically if you are willing to donate 30 minutes to rebinding keys, which is frustrating because of issues with the settings menu. The Just Cause series has never been about a story, and Just Cause 4 is not exception to the rule. The story is mediocre, and about a dictator organization ruling over a African island, the the group of rebels fighting back against them. Everything is in place for a generic, but over the top open world action game. Without involving any spoilers, Rico learns about his past, and goes through traditional struggles of a traditional open world character. Even though the story is not great, it serves it’s purpose for what it is meant to be. The sound in this game is one of it’s best attributes. I am still genuinely shocked every time I hear the thunder in the game’s opening menu, as it is some of the most realistic and dynamic surround sound in video games. Even though this should be acclaimed, I feel like the budget for this game would be better spent in other places, such as PC porting and optimization. The game mostly follows best practices, with a few gear packs available to buy for $2.99 a pop, and a $30 season pass which contains all future DLC, not including gear sets for the game. Gear sets are nothing but special skins for your car, glider, and grappler. There are no game altering microtransactions, which is a redeeming quality of the game. Just Cause 4 is an amazingly fun game, which is sadly held back by outdated game mechanics ported over from the last game, some wonky physics, and a terrible engine. If you are patient enough to put up with crashes, a terrible physics system, and boring cutscenes with no option to skip, this game would be amazing. I would vouch to say that at $60, this game is not worth it, even if you are a fan of the franchise. Yeah, just cause 4 kinda sucked.